It’s said that each snowflake is different—unique and special in a way that distinguishes it from all others. We think the same can be said for Christmas memories. 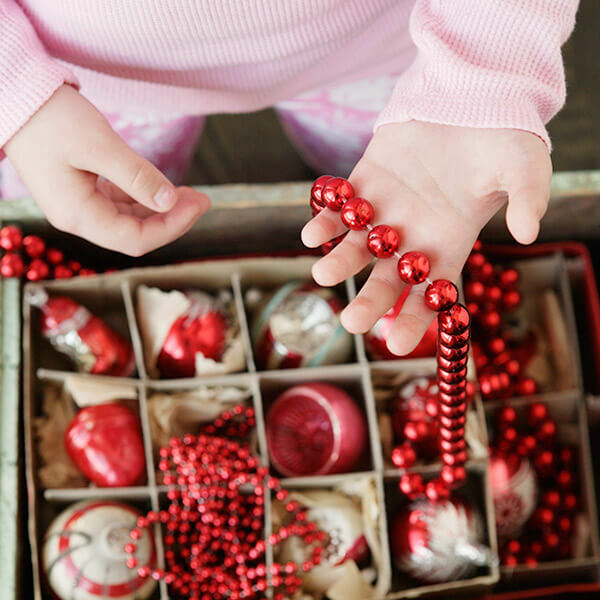 Sure, every family has tried and true traditions, but each year, each Christmas, brings a new reason to celebrate, a new year of memories to cherish. That’s why an annual time capsule is a great way to commemorate the little details that make each Christmas a treasure of its own. Your capsule doesn’t have to be fancy. Use a storage box with a lid, a shoebox or even an empty paint can (available at home improvement stores). Decorate it with paint, stickers or scrapbook paper and mark it with the year. Include items that capture the sights, sounds and smells of the season: your family’s Christmas card or newsletter, an ornament memory book, printed photos, a DVD recording of the Christmas pageant, candlesticks used at dinner, handwritten gift tags, party invitations, ticket stubs from holiday productions, a store’s ad featuring the year’s hottest trends and gifts. Download our printables and have each family member fill out a page to capture their seasonal stats. Be sure to include reminders of the year’s milestones, both major and minor. This could include a child’s handwritten letter to Santa, a length of ribbon that marks the current height of each child, your annual family Christmas photo or your child’s photo with Santa, luggage tags from a big trip or a lock of hair from a first haircut. The more personal, the better. Have each family member write a hope or wish for the coming year. It can be big (explore Europe) or small (bake more). Remember to include even the smallest family members (sleep through the night). Store the wishes in a colorful envelope or folder. Now it’s time to seal up your time capsule and store it with your Christmas decorations until next year. It’s so much fun, you might just want to turn this into a yearly tradition!